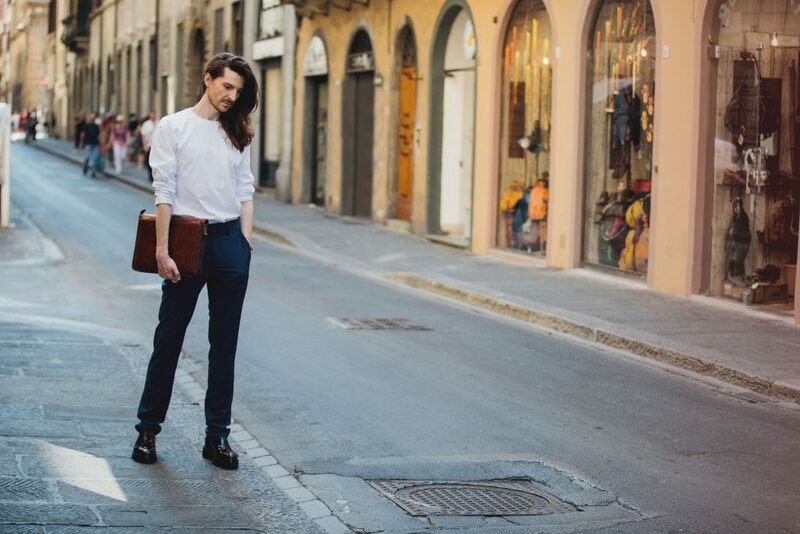 Every season of men’s fashion week is broken up for me by the trade show Pitti Uomo in Italy. 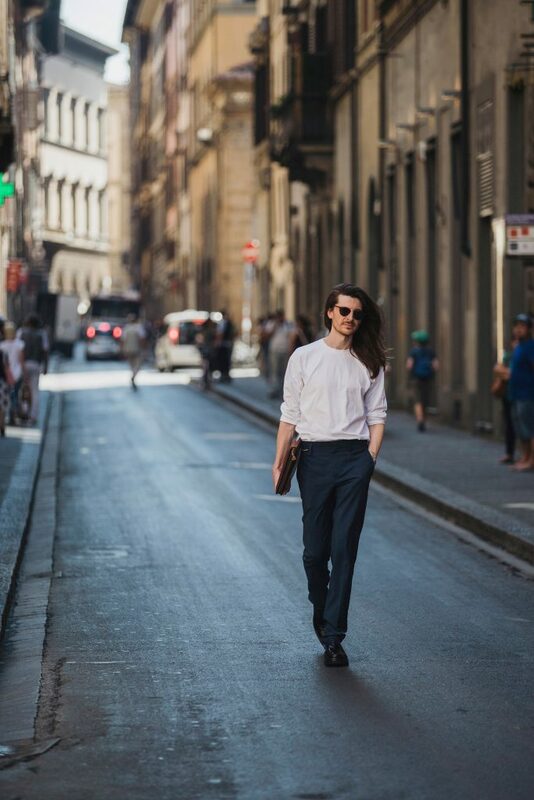 Between London and Milan, I travel to Florence to photograph some of the best dressed men in the world. 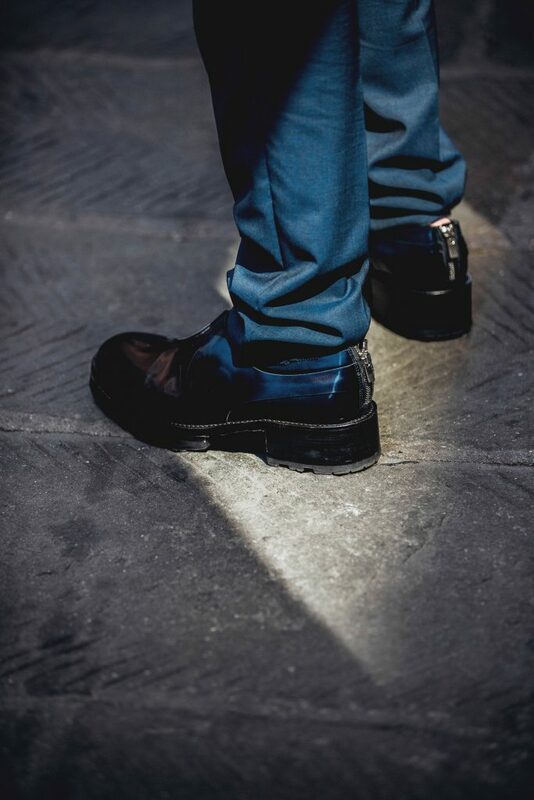 Pitti Uomo is more than a simple trade show, it has grown to iconic status as a platform for gentlemen’s style around the world. This season, four designers stood out on a platform of their own. 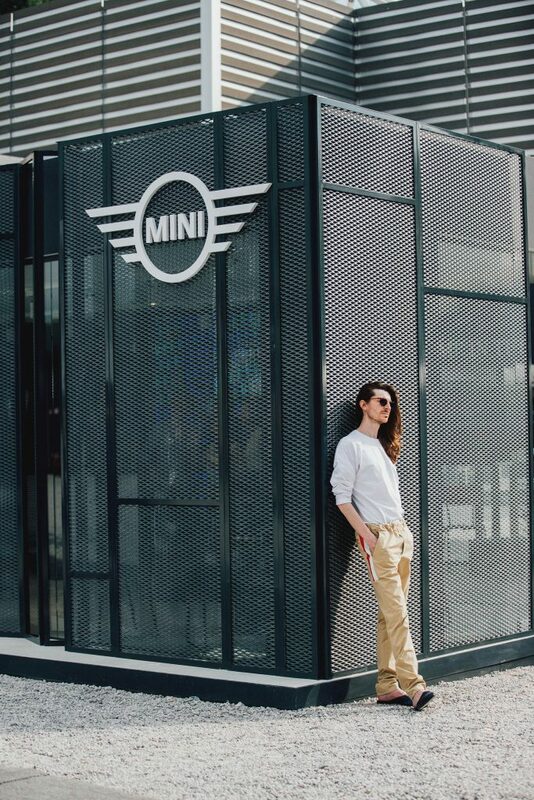 Selected by Conde Nast Italia, Brazilian designer Mr Diego Vanassibara was in town for a special project with MINI. 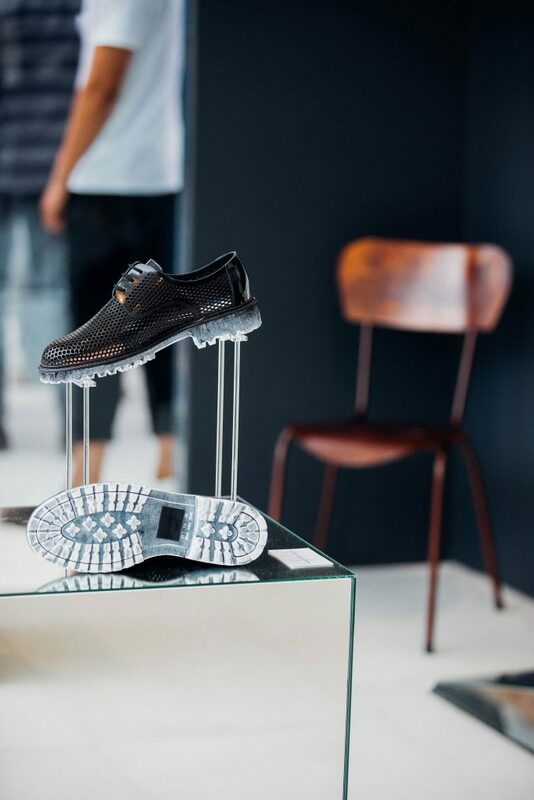 I caught up with the 34 year old footwear designer under the Florentine summer sun to talk about his work and life in London. Where did you grow up? In the South of Brazil. It’s deep in the interior of the countryside so was a rural upbringing. How would you describe your childhood? I look back and see a free exsistance. I was able to exercise my creativity extensively because I had to invent a world that didn’t exist around me. The only outside visions bame in the form of books. It was a happy time. What did you want to be as a child? An Inventor. Were you supported as a creative young person? Not really because nobody around me was working in a creative industry. I was often misunderstood. How did your interest in shoes begin? I realised during my undergraduate degree. I decided to study architecture and realised I wanted to blend the engineered side of architecture with the free creativity of fashion. Shoes seemed where those two fields merged perfectly well. The U.K. is a long way from Brazil, how did you end up in London? I had a dream to be able to study design in Europe and when I got my first job in Brazil I began to save some money. I didn’t think twice; I simply began seting money aside and as soon as I had enough I booked a flight. London actually wasn’t my first option but I thank God that I ended up in there! How does the city influence your work? In my opinion London has this brilliant dynamic of tension. On the one hand, an overwhelming sense of freedom and the other a sense of British restraint. That makes me tick. Tell me about your collaboration with MINI.I was invited by Conde Nast Italia to collaborate with MINI for the Beyond Native project and I jumped at the chance. I designed a shoe for the urban traveller which is in effect the MINI man. It’s a shoe inspired by an element of chaos with the serenity of the forest. Chaos from London represented in the sole, which is a very unique technique that I use by missing textiles and rubber. The forest is represented by body painting from a Brazilian tribe called the Tapajós, Guardians of Our Forests. What do you appreciate about the MINI brand? It’s relevant, eternally cool. It’s open-minded and fresh. What advice would you give your 18 year old self? To go to London earlier. Finally, leave us with some words of wisdom. Any relationship should set its foundation on communication. When there’s dialog, there’s understanding and mutual respect. See more at www.diegovanassibara.com and www.mini.co.uk.